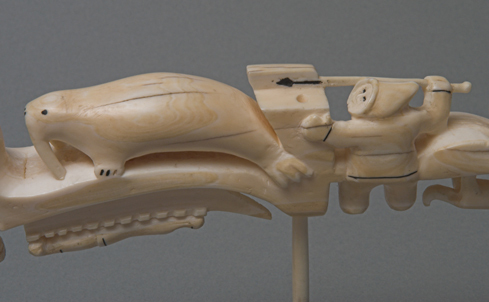 Early on in the commercialization of Inuit art, trading posts assigned artists numbers rather than citing their names. This resulted in some misidentifications. 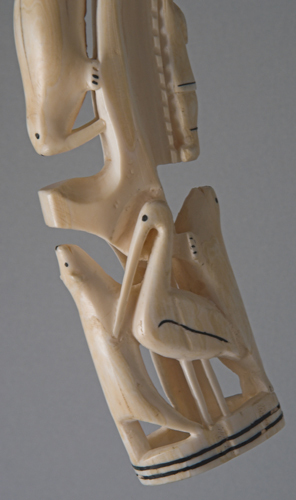 The number on this piece credits Simeonie Weetaluktuk, but research indicates that may not be so. 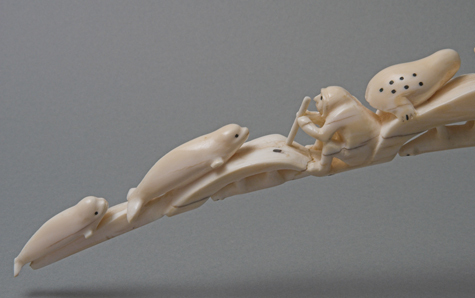 This beautiful carving covers an entire tusk and features arctic animals and Inuit hunters.